Beauty and comfort in equal measure. Recycled materials are used in aluminum and steel and resin parts. These materials make up about 36% by product weight. With easy disassembly and recycling always in mind, plimode is designed so materials can be thoroughly separated into the same groups. 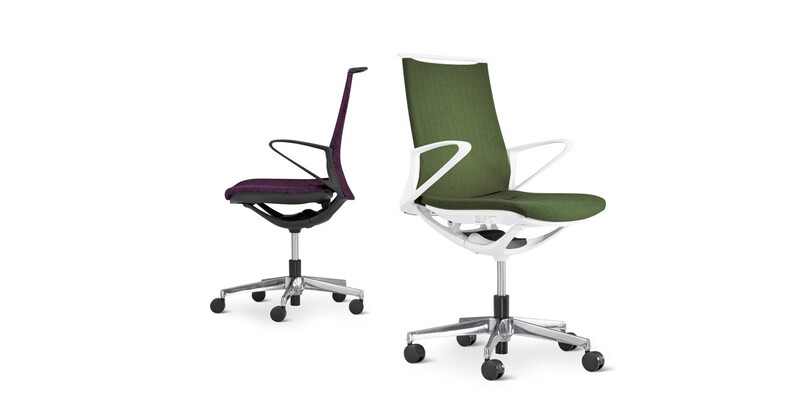 plimode’s resin back frame, a design based on a simulated analysis of finite elements, bespeaks the outstanding efforts behind Okamura’s eco-conscious designs. Okamura’s product developers optimize the use of resources by minimizing the amounts of materials used without sacrificing the outstanding quality, strength, and safety of the products. What would you call this sensation? It’s almost like wearing a well-tailored suit. Choose from four paterns and 33 different colors. The cloth on the back rest and seat have been painstakingly applied to ensure there are no gaps, divides, or creases. And, the three-dimensional curve results in an elegant line, the product of years of research and expertise. 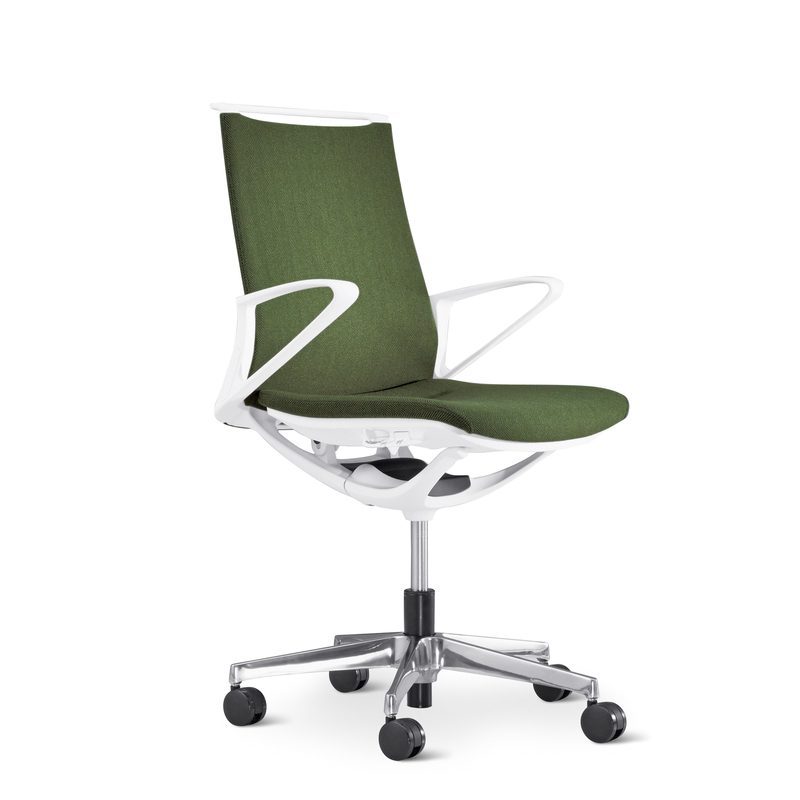 This chair keeps you in your best posture, refreshed and invigorated. It’s like a custom-tailored suit made by a master craftsperson. Attention to every stitch, every detail, every fit, and every finish. plimode. 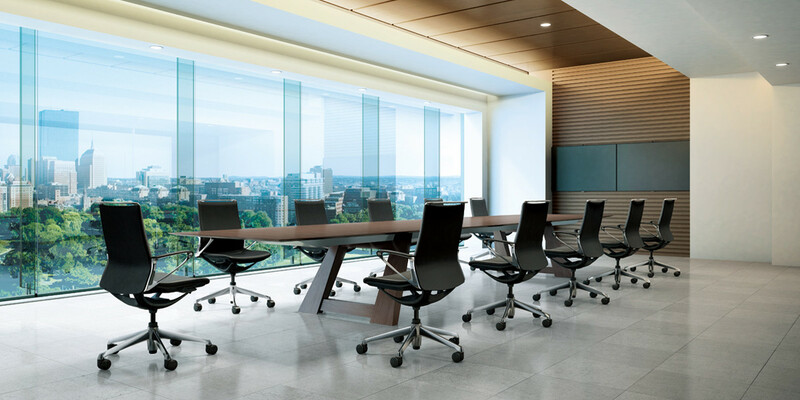 A work of engineered office comfort 70 years in the making. Every bit of the craftsmanship and design that the house of Okamura has to offer. This streamlined, light design was inspired by the air. From the top of the back rest to bottom of the seat, the line flows uninterrupted in a single sweeping silhouette. Arm rests form a supple, flowing curve. The recline mechanism has been simplified into a clean, modern, minimalist package. It’s a design of pure beauty that’s as pleasing visually as it is physically.